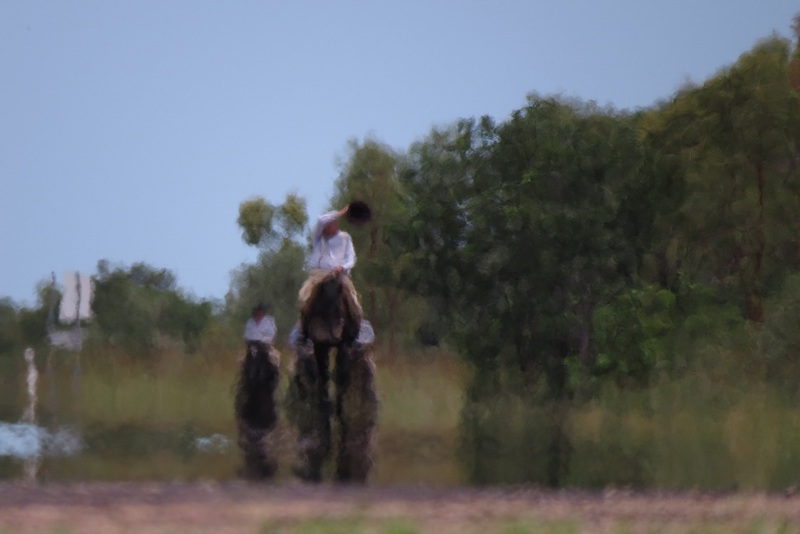 The Borella Ride travelling in the heat of the Outback to Dunmarra. Photo by Luke Paterson. 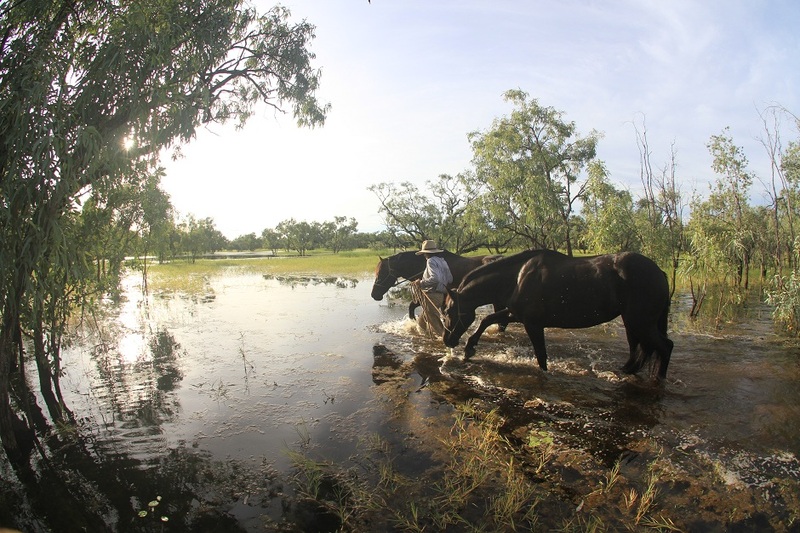 The Borella Ride horses get a chance to cool off near Dunmarra. Photo by Luke Paterson. 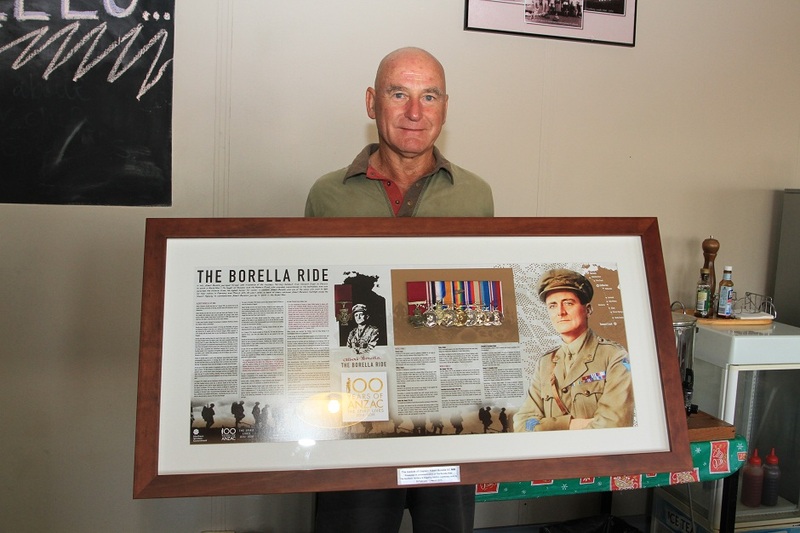 Gary Frost, owner of Dunmarra Roadhouse, is presented with The Borella Ride framed medal board. Photo by Luke Paterson. Dunmarra. Photo by Luke Paterson. The Borella Ride arrived in Dunmarra on day five of The Borella Ride, nearing the halfway mark of the journey. After days of walking and riding in the heat of the Outback, facing a seemingly endless road, the team began to wonder how Albert Borella was able to face this journey on his own. 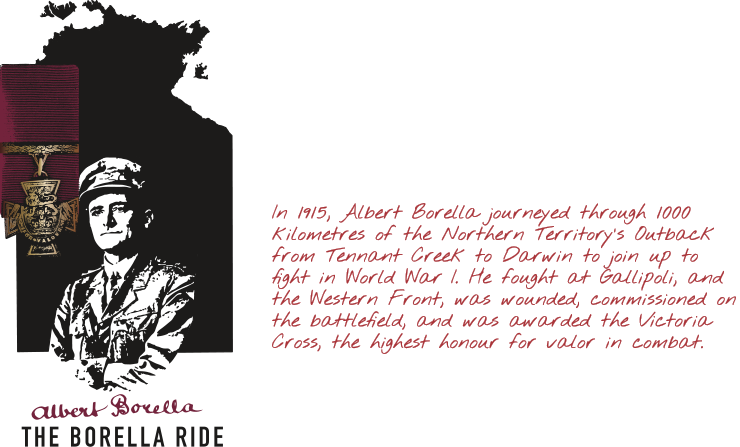 While Albert Borella would have met travellers on the way, most of his six week trek to Darwin would have been a lonely journey, where he had to hunt and fend for himself. 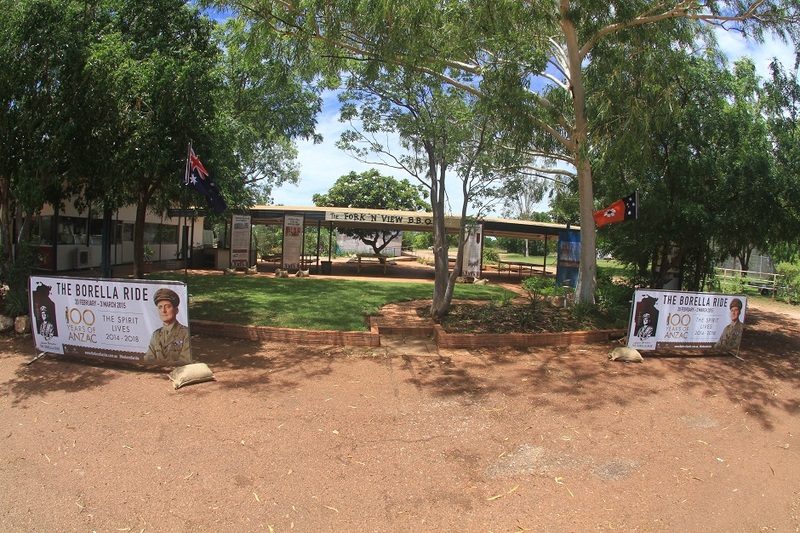 By retracing the trip, Richard Borella was learning every day the strength and determination his grandfather must have had to make it to Darwin and face an unknown future of the Great War. Richard’s journey was made easier by the company of Charlie Cloos and Tim George, and the assistance of the support team including camp cooks and volunteer Ambulance Officers. But still every day was a new challenge to be faced. As they reached Dunmarra, the team used the opportunity of a nearby waterhole to take the horses for a swim to cool down. That night they presented a framed medal board to the owner of Dunmarra Roadhouse Gary Frost in appreciation of his hospitality, and the next day it was back on the horses to continue up the road to Daly Waters.